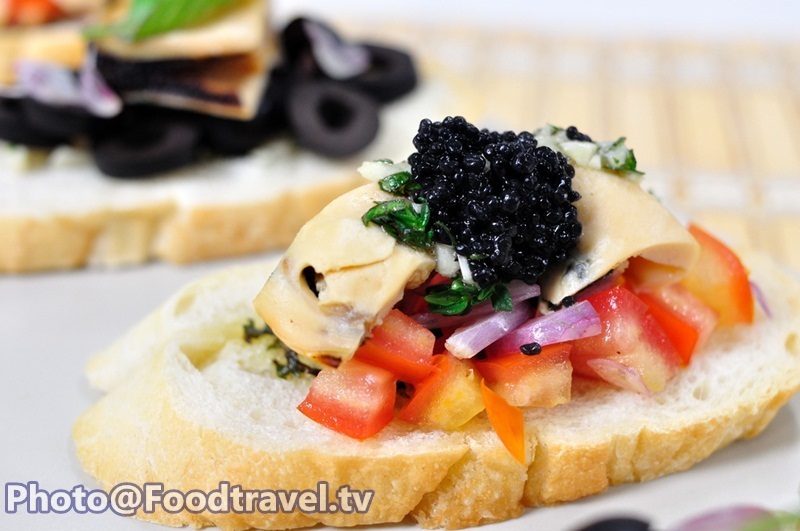 Bruschetta - This menu is Italian menu but easy to cook for the light meal. 1. Chop the garlic then mix them into olive oil and thyme. After that spread them on French loaf and bak at 170 cํ. 2. Chop the red onion and make the salsa with tomato and lemon. 3. After the bread done take them out and put the salsa on them then topping with Asian green mussel. 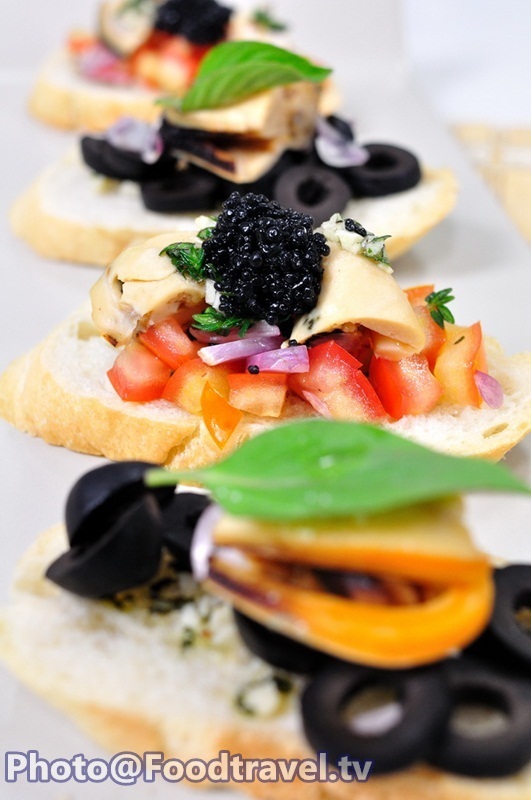 For another side use black olive and topping with caviar. 1. Chop the garlic then mix them into olive oil and thyme. After that spread them on French loaf and bak at 170cํ.